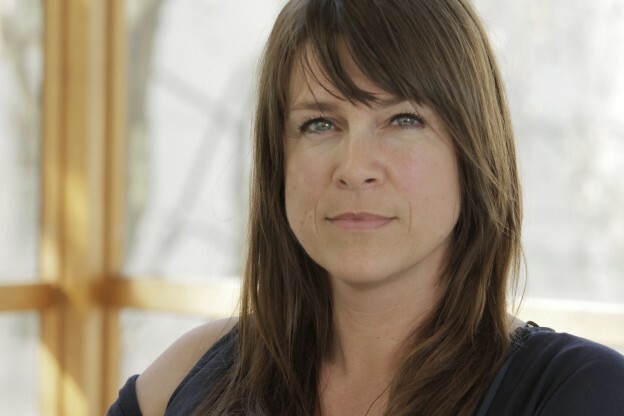 netwars / out of CTRL spoke with Director Tonje Hessen Schei about her latest documentary DRONE, the downsides of the drone war and the impact this kind of warfare has on the human mind. 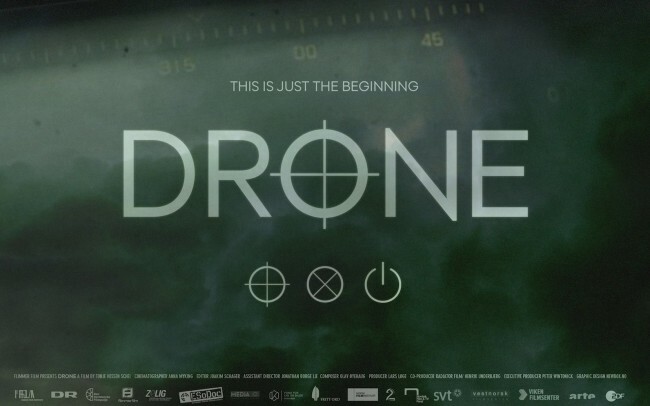 DRONE is a documentary about the covert CIA drone war. The documentary is part of Arte’s theme special about war in the fifth dimension and will air right after netwars / out of CTRL on April 15th, 9.10pm. Tune in! 1. What drove you into making the movie and what is the idea behind “Drone”? I got the idea for DRONE when I came across a story of a gamer who dropped out of high school and joined the Army. 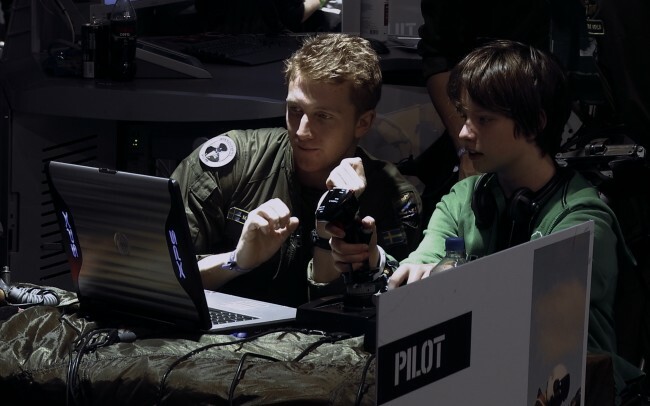 Because of his gaming skills he was quickly recruited as a drone pilot, and at the age of 19 he was an instructor for other drone pilots. I’m very interested and fascinated by the blurred line between the virtual and real world. When Obama promised to close Guantanamo and instead ramped up the drone war, the largest targeted killings program in history, I decided to make this film. DRONE TRAILER TV-Version from FlimmerFilm on Vimeo. 2. What do you want to teach your audience? Drones have changed war and possibly our future. Yet so many people here in the West don’t know what a drone is. We are increasingly distant to the wars we fight, and I do believe that the consequences of drone warfare must to be discussed and debated. People need to know what is going on. The US is setting a very dangerous precedent with their use of drones, and right now Europe is moving forward acquiring armed drones – so we are at an important turning point and I believe it is crucial that we establish strong international rules for the use of drones. I also believe that there needs to be full disclosure and an investigation on who has been killed by the US drones in Pakistan, Yemen and Somalia. 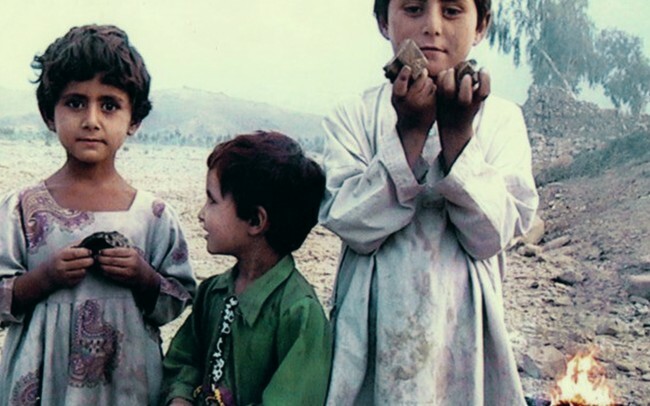 A decade into the drone war with no transparency or accountability and this is not acceptable. So to me it is extremely urgent that we get drone warfare on the agenda! 3. You approached the drone topic by taking a closer look into the gaming community and how the US military recruits young gamers for their programs. After all the research you’ve done, what do you know about the training of the drone pilots? Do you think they realize the consequences of their actions? How does the military make sure they are aware of the thin line between war games and actual war? Gamers have very important skills that are much needed in modern warfare, and militaries across the world are now targeting gamers in their recruiting strategies. The ties between the military industry and the entertainment industry are very strong – militaries are using tools and advice from the world of entertainment to make their operations more efficient, and weapon companies also own intellectual property rights in games that are produced. I’m intrigued by the new warriors that are killing people on the other side of the world through joysticks. This does not mean that drone pilots believe they are participating in a video game, and it’s been profound to see what impact this new way of killing really has. The intimacy of observing people for long periods of time before killing them w a push of a button, then witnessing the horror and death you have caused on the ground, then often to kill people who come to rescue the wounded has serious implications for the drone pilots. So we are looking at a new and different sacrifice and post traumatic stress. To me drone pilots are part of a grand experiment and we really don’t know the consequences of this warfare on the human mind. 4. Does anyone wonder about the security of these systems? Are they aware of the fact that the system could easily fail – or even worse, that someone might get into the system, take over control and use their weapons against themselves? The threat of hacking has always been an issue with drones. Iran claims it landed a US drone and we have yet to see the consequences of this! Hacking a drone can be done fairly easy. Through the production of DRONE we met a US professor who hacked a drone with his students in a few hours as an experiment for the US Department of Homeland Security. So I don’t feel this threat has been properly addressed with drone technology – but this is also one of the main selling points for autonomous systems – hacking is less likely when the drone is self contained. But that raises a whole spectrum of other threats and ethical problems. 5. US President Barack Obama carried out a surprising change of American Power. He made drone strikes and cyber attacks a top priority when it comes to war (think about Stuxnet). What are your feelings on waging war on a cyber level? The wars of the future will for sure be waged on the cyber level, and my biggest fears are that we are facing devastating wars waged by invisible enemies, outside of declared battlefields, with no laws, no human rights, no transparency or accountability. In some ways I don’t think it’s hard to imagine that we are heading towards massive cyber attacks combined with a Robot Ragnarokk. Hopefully by then we have managed to take control of the new weapons of war and have a system of strong international laws in place. 6. We learn from your movie that drone pilots often monitor their targets for weeks or even months. This is a very frightening form of voyeurism and brings us back to surveillance and privacy. How did the revelations of Chelsea Manning and Edward Snowden affect you and your work on the movie? Manning and Snowden have changed so much, and to me their revelations show the importance of transparency. I do believe we do have the right to know what is being done in our name, and it’s crucial to have information to understand the world around us. We live in age of surveillance and the manhunt on whistleblowers has exploded under Obama. For us this has effected how we have worked with our sources and at the same time as our investigations aim to achieve more transparency in the covert CIA drone war. 7. Meanwhile companies like Amazon think about using drones to deliver packages. How did making the movie change your views on these developments? The civilian drone market is a whole new and different area, with DRONE we focus on the useof drones in war. But personally I don’t like the idea of anybody hovering anything over me to observe me for any length of time. So I’m really concerned about the possibilities drones open up in terms of surveillance, and the development of smaller drones that often replicated birds, bees and insects to better blend into the natural world. I am however not anti-drone technology – and believe there are many great uses to be explored, but first we need to make solid regulations to protect our rights and understand fully where we are headed. I often dream of ordering wine or food that could be delivered with a drone to the peninsula I live on. I also personally do own a drone that I intend to learn how to fly over various places here in Norway as soon as I have some time. Tonje is a Norwegian filmmaker who has been working with independent documentary film since 1996. She is the director and producer of the award-winning documentary Independent Intervention (2006). Other productions include Texas and the Death Penalty (1997). Tonje has a masters in film from the University of Trondheim in Norway and a BA in film production from the University of Texas in Austin. Tonje is the co-founder of Ground Productions, an independent international documentary production company based in Portland and Norway.